Join our international Christian community! Volunteer in the Alfa & Omega Christian Center in Beautiful Dénia, on Spain's Mediterranean Coast! Need a break before going off to university or between semesters? Looking for a way to serve in a meaningful way and improve your Spanish with a group of young Christians from around the world? Overlooking the stunning Mediterranean coast with Denia's medieval castle in the foreground, for decades, the Alfa & Omega Christian retreat center has been a place where lives around the world have been forever impacted by the person of Jesus Christ and by his word. 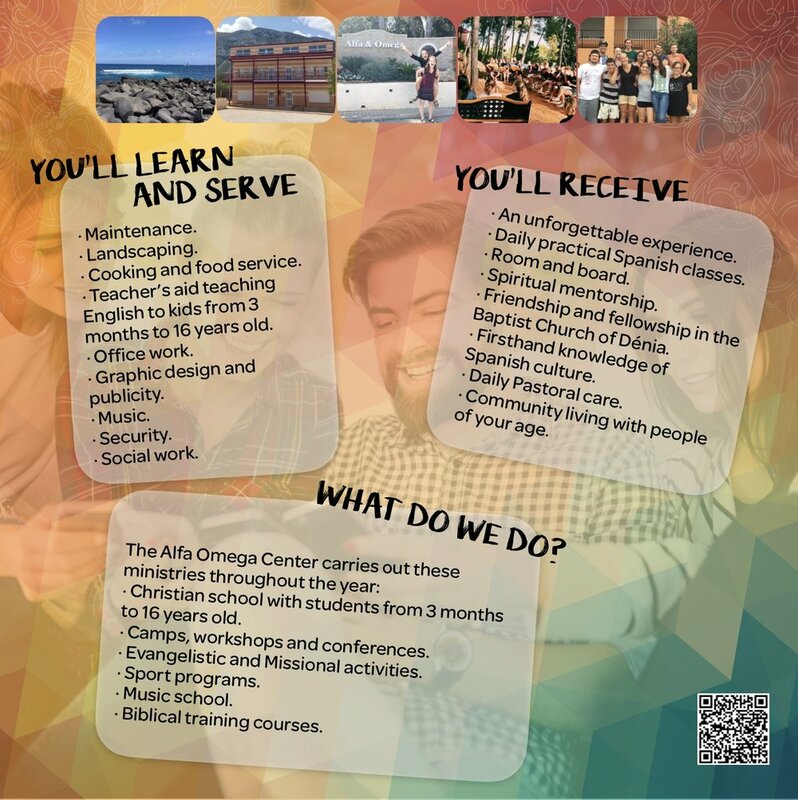 We are looking for volunteers between the ages 18 and 30 from around the world to spend at least two months serving in the Alfa & Omega Christian Retreat Center in beautiful Dénia, Spain. The Center, associated with the Spanish Baptist Church, hosts Christian camps, workshops, and conferences throughout the year and supports a primary and secondary school. Here is a terrific video that one of our volunteers created that truly depicts a day in the life of an Alfa & Omega International Volunteer: Enjoy! For more information, just send an email to Bonnie at voluntarios@alfa-omega.org! Also you can check us out on Facebook.